A distinct and cohesive presentation is the single most productive asset your business can possess. It attracts new clients and retains existing ones. It provides valuable credibility, conveys core strengths, and inspires trust. It represents your company that first glance. Kagan Creative's team of veterans combines 20 years of marketing experience with knowledge of interactive trends to develop a marketing strategy that ranges from online presence to print collateral. Our services include graphic design, logo and business card design, web development, database programming, technology consultation, and in-house support. Interactive Marketing continues to evolve and we "stay on top" of all the new trends and embrace change. Our "under the hood" web techniques provides an easy to crawl website for the major search engines while offering a professional, clean web design to make any potential client to pause and read your content. 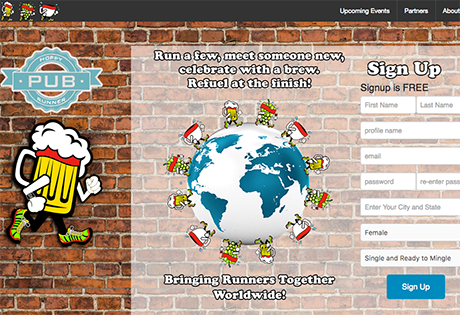 Hoppy Runner is a social site where the love of drinking (beer, wine, coffee) and running come together. 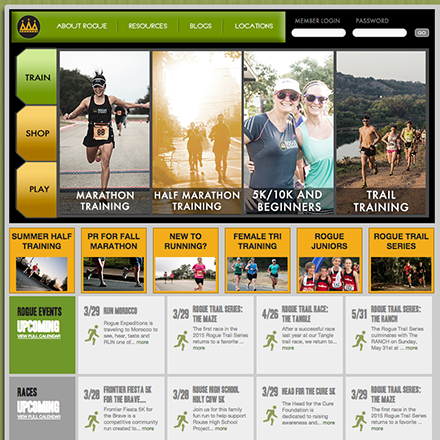 Hoppy Runner hired Kagan Creative to develop a social platform. New users can signup and meet other runners, create a group, send messages, log runs and learn about social runs in the community. Lakeway Regional Medical Center is a a full-service hospital providing Hill Country residents in Lakeway, Steiner Ranch, Bee Cave, Westlake, Circle C, Austin and Marble Falls with a place to which they can turn for comprehensive, compassionate and modern medical treatment. 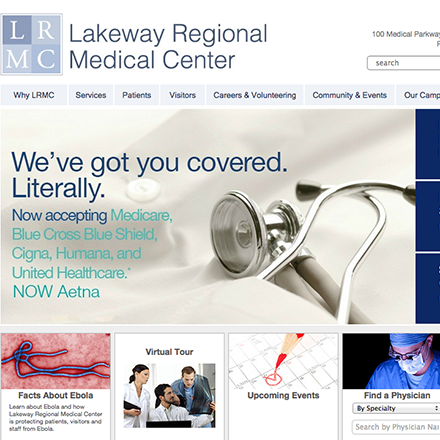 Lakeway Regional Medical Center hired Kagan Creative to re-design the website with a custom CMS and create on-line solutions to new and existing patients such as displaying ER wait times, bill pay and physcian quick find. The Prosthetic Foundation purpose is to help individuals with amputations and to provide well fitted, appropriate prosthetic devices to those who cannot otherwise afford them. 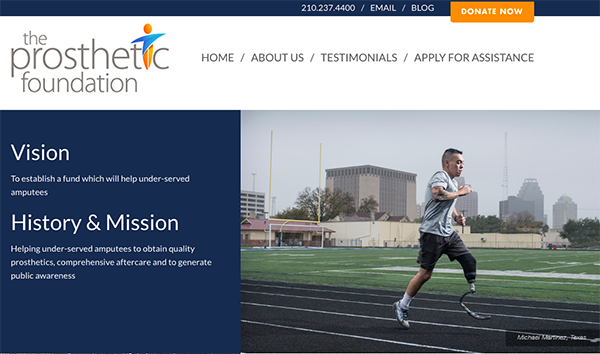 Kagan Creative designed and developed an easy to navigate site to provide help to amputees and collect donations from the community. 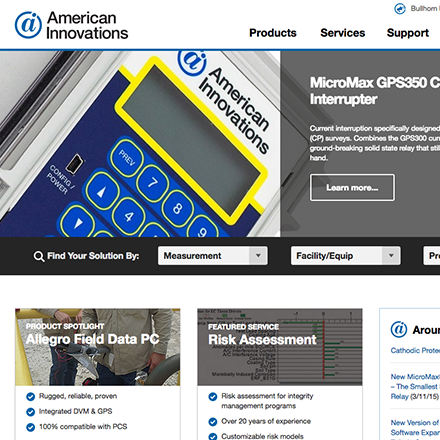 For more than 30 years, American Innovations has provided reliable compliance solutions to oil and gas pipeline professionals from the field to the office. 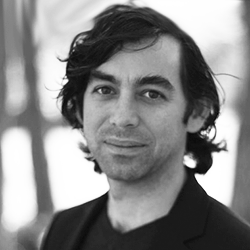 Trew Marketing hired Kagan Creative to code the website. 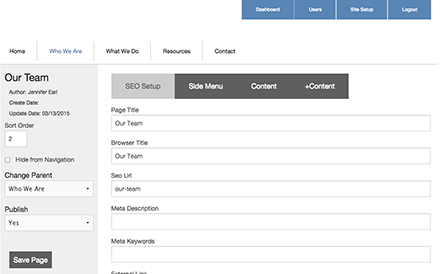 Using our custom CMS, we integrated products to a searchable knowledge base. 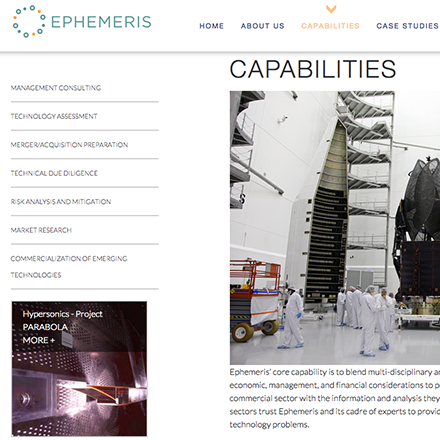 Ephemeris professionals are experienced management consultants and technology experts specializing in Aerospace, Energy, Advanced Materials, and Emerging Technologies. Kagan Creative was hired to design and code a modern, responsive website where Ephemeris can easily update the website keeping case studies current for clients to easily see their latest projects. iGROUP is one of the nation’s largest independent life marketing companies. Kagan Creative was first hired to develop a website and custom CMS to create and maintain multiple websites from the same CMS. We surpassed their expectations and have worked on numerous projects, including their corporate website. This website is built on top of a powerful platform that allows developers to create responsive websites within their own code. 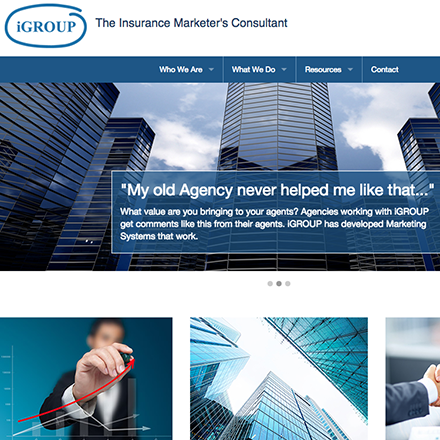 iGROUP updates all of their sites within our powerful, custom CMS. The Providence Healthcare Network provides pre-natal care to hospice, from emergencies to long-term care, from family clinics to outstanding medical specialists in cardiology, cancer, orthopedic, neurology, stroke, and many others. 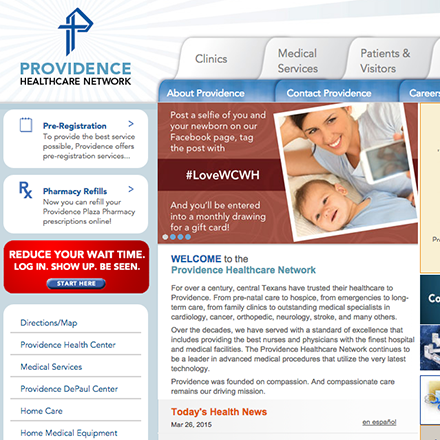 Providence Health Care asked Kagan Creative to design user interface elements and program the website. The final web design included a custom CMS (content management system), icon work dedicated to the ease of useability, a pre-registration form for patients, pharmacy refills, find a physician and interface to Bright Cove's API to stream videos about health and coded the entire front-end web design using CSS and JQuery. Rogue Training Systems began in Austin, Texas in 2004 with the desire to introduce elite level training concepts to the everyday runner or jogger. It was Rogue's belief that the beginner runner would greatly benefit from an approach that allowed them to focus on goal setting & seeing beyond the concept of "just finishing" their respective event. We strived to truly challenge our athletes to train consistently and effectively in a well-designed, disciplined environment. Kagan Creative was hired to code the website and develop a platform for members to register and monitor their schedule, post questions to their coach, keep track of their mileage, renew their membership and other members and search runners looking for a running partner within their pace. In 2003, Shoberg Homes began building and remodeling high-end homes in Austin with a hands on approach and unmatched attention to detail. Kagan Creative was hired to design a cohesive look starting with the logo and print collateral to the website. 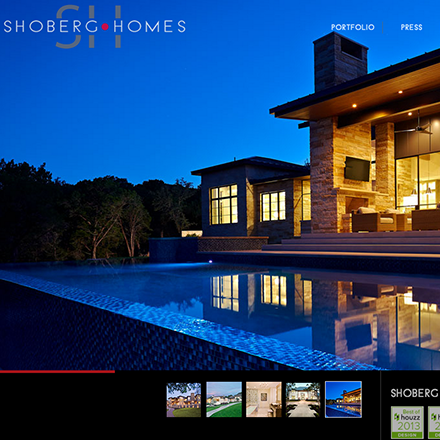 Kagan Creative developed a custom, responsive website to show off the beautiful homes built and remodeled by Shoberg Homes. 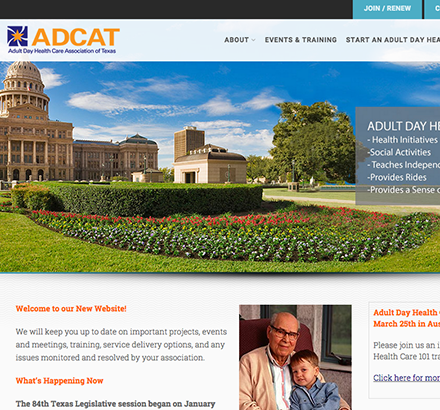 The Adult Day Health Care Association of Texas is a statewide organization of Adult Day Care Health Care Providers, licensed by the state of Texas and dedicated to keeping adults needing assistance healthy, independent, and non-institutionalized. Kagan Creative was hired to create a new logo and build a WordPress site which entailed some custom design and coding. Silverleaf Recruitment has revolutionized the recruiting/hiring and job search process. Through thier detailed profile, video resume and innovative matching platform, you are assured to find your perfect match. 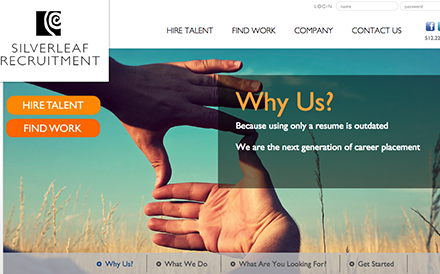 Kagan Creative was hired to develop a new approach to job recruitment. We developed a step-by-step resume process that includes uploading resumes, creating videos and matching candidates in real-time. Ease-of-use, functionality, efficiency - they're built into every piece of digital marketing we create. At Kagan Creative, interactive design and development is our speciality. We do not want to forced into a box, so we developed a platform that we can customize and fit any size project. Our custom CMS is not limited. We will never say "that's good enough" because that's how the plug-in works. Our custom CMS is not built with plug-ins or hooks. It is custom coded to the needs of our clients. Holbrook Liquors offer the best names in the industry at the lowest prices they can offer. 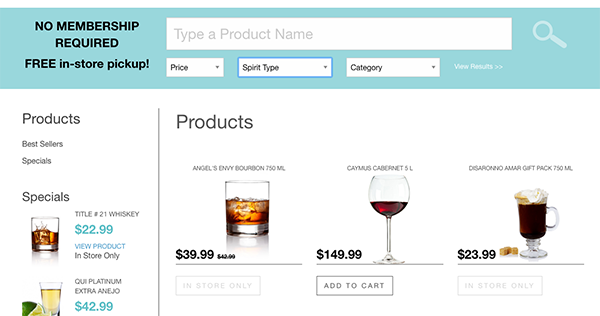 Kagan Creative was hired to create a new design and to setup a custom ecommerce to capture zip codes to ensure shipping alcohol is possible in the area as well as shipping to multiple recipients on the same order. Metropolitan Gallery provides expert art advisory, seamless project management and innovative designs. 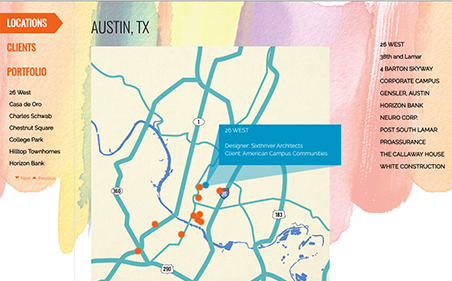 Kagan Creative was hired to integrate a new design and code custom features such as a custom portfolio pinpoints the location with a mapping solution that was developed in-house and can be easily updated. 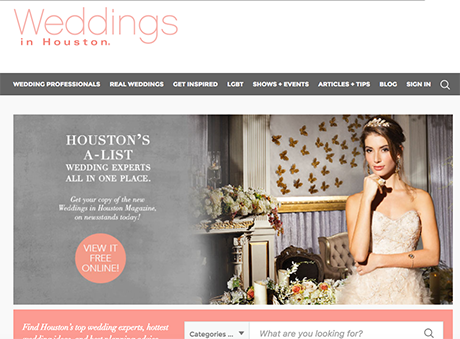 Weddings In Houston distinguish themselves from national magazines, by focusing on the best in local wedding expertise and artistry, and in bringing the best in national wedding trends and design to Houston brides. Kagan Creative was hired to integrate a new design and code custom features such as an integrated search, advertising tracking, dashboards for vendors and brides, magazine purchases and much more! For the last 6 years, TREW Marketing has relied on Kagan Creative as our primary web development firm, with great success. We have found Kagan highly responsive and helpful throughout each project's life cycle, and Kagan's flexibility when working with a broad swath of client requirements is unparalleled. The Kagan Creative team's deep technical expertise, coupled with their responsiveness and collaborative approach, makes them a smart, reliable choice for web development projects both small and large. I highly recommend Kagan Creative for design and development. They are competent, talented and professional. Ryan sat down with us and took all of our wants and needs and executed a beautiful website. I highly recommend Kagan Creative for design and development. They are competent, talented and professional. Ryan sat down with us and took all of our wants and needs and executed a beautiful website. We could not be happier. 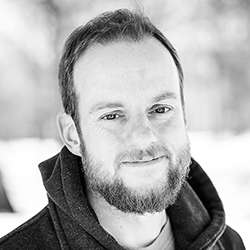 Even after the website was completed, Ryan has always made himself available to help with any additions or changes that are needed and they have always been done quickly and effectively. 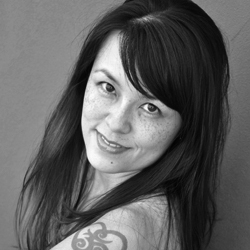 He gave me specific training so I could maintain the website and know all the functionalities it has to offer. I am confident in saying he was the right person for this job! Thanks again Ryan! We have had numerous clients since we started in 2005. Here are a few of our recent clients listed below. Please send us an email if you want to learn how we can help your business.